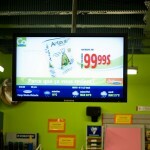 Digital signage takes a certain level of work and care so that everything goes off without a hitch. 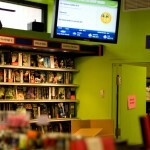 A number of the tools used to construct and maintain a digital signage network can be a little pricey, but we’ve found quite a few software tools & services out there that are free (or relatively inexpensive) that can benefit digital signage operators, big and small. Yammer: A Twitter clone but more “closed”, targeted to companies that want to modernize their corporate communications…why not use the feed in your digital signage? Bluff Titler DX9: An inexpensive Windows app that uses DirectX to generate preset 3D text effects, backgrounds and other 3D animation. Pixlr: Yet another online image editing program…so many of these! Who will win the war? Adobe Kuler: An AIR app that until recently was online only used to explore and share color schemes. Great for inspiration or finding matching colors. Seashore: An open source image editor for Mac OS X with Cocoa framework that enables the use of gradients, textures, text anti-aliasing, brush strokes, and other essential and basic image editing needs. Daz3D: A free, feature rich 3D figure design and 3D animation tool that enables anyone to create stunning digital imagery.